In this video I test out the Predatory Bird Lifestyle Item skateboard. Here is a public service announcement on the Predatory Bird Lifestyle Item, feat. John Rattray. 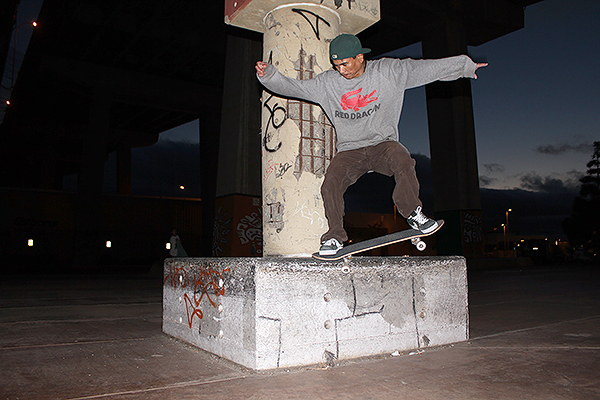 Shot and edited these videos with Ed Devera, Matt Sosa & friends for Lowcard. Shot and edited these videos of Jacob Sandin for Route 44 and Lowcard Mag. Shot, edited, and did graphic design for this project with Aaron Harrison for ATM Click. Click the image above to buy this board online from SOP Distribution. Shot and edited this video for Lowcard & Route 44. Shot the photo of Julian Klincewicz. This was the seventh time I’ve seen Iron Maiden live and they were playing the Seventh Son of a Seventh Son album. You just gotta see Maiden if you get a chance. This video is just a hint of a taste of how rad their live show is. Little shakiness when I was rocking out to the band while shooting. Support Iron Maiden, buy their official music and gear, go see them live. This video was shot Aug. 9, 2012 in Irvine CA on an iPhone 4 and edited in Final Cut Pro in SD, CA. It’s from the Maiden England 2012 tour. Please take a look at my work in video, graphic design, web, editorial, photography, illustration, music & more. Content here is my work or something I helped work on. Currently in search of full or part time work. Contact me below. Thanks!